Christopher “Captain America” Smith is a three-sport Special Olympics athlete who joined the organization 14 years ago. 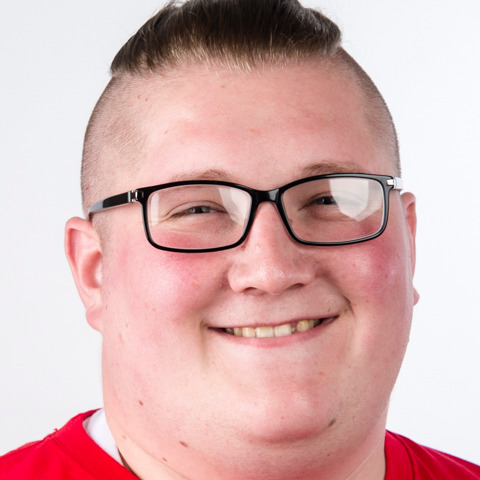 He has met some of his best friends, whom he now considers family, through Special Olympics and was recently voted team captain of the Clinton County Hawks volleyball team. In 2010, he broke bones in his face after getting hit with a softball. His inability to help his team while injured was heartbreaking to him. Christopher, who works selling automotive parts for Five Star International, recovered wonderfully and won the Award of Valor at Villanova University’s Fall Fest. In his free time, Christopher enjoys hunting, fishing and playing video games and looks up to WWE superstar AJ Styles. "It means that my hard work and dedication is paying off," he said. "I most look forward to representing our nation in this once in a lifetime opportunity."